Description: This tutorial introduces ROS using rxconsole and rxloggerlevel for debugging and roslaunch for starting many nodes at once. This tutorial page is obsolete starting from ROS groovy. Please see ROS/Tutorials/UsingRqtconsoleRoslaunch and come back if necessary. 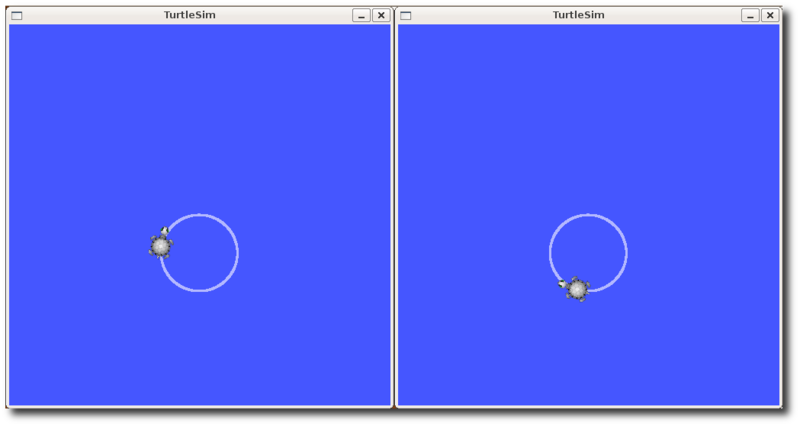 The tutorial uses both the rxtools and turtlesim packages. To do this tutorial, please install both packages, if you have not yet. Replace <distro> with the name of your ROS distribution (e.g. electric, fuerte, groovy). NOTE: you may have already built rxtools and turtlesim for one of the previous tutorials. If you are not sure, installing them again will not hurt anything. rxconsole attaches to ROS's logging framework to display output from nodes. rxloggerlevel allows us to change the verbosity level (DEBUG, WARN, INFO, and ERROR) of nodes as they run. Now that you have successfully used rxconsole and roslaunch, let's learn about editor options for ROS. You can Crtl-C all your turtlesims, as you will not need them for the next tutorials.